As I wrote in my previous post, I didn’t run much during the school year. I also didn’t write much – this will be my first shoe review in about a year, and the first since I returned to teaching (a very positive move for me!). Although my mileage was low, and my speed was slow, I did manage to run as time allowed, and the majority of the miles I ran from January-June were in the Saucony Freedom ISO. It was also the shoe I wore to cover 20+ miles at the Rock Lobster Relay in June. For the runner I am right now (a bit heavier, a bit slower than a few years ago), it has served me very well. Saucony Freedom ISO Specs (per Running Warehouse): 9.1 oz (men’s 9), 23mm heel, 19mm forefoot. I’d describe the Freedom ISO as a workhorse of a shoe. I probably have over 100 miles on them total, and they have shown relatively minimal wear. 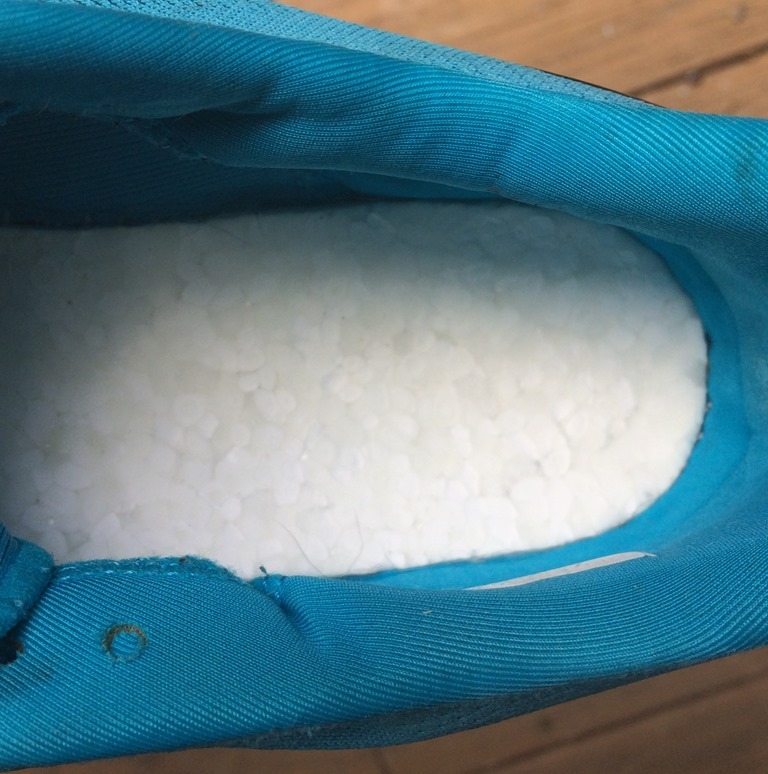 The crystal rubber on the sole seems to hold up very well, with only minor abrasion at the heel, and the full-length EVERUN midsole still has plenty of spring. EVERUN is Saucony’s answer to adidas’ BOOST material, and it seems to be a worthy competitor. The midsole, along with the EVERUN topsole, provides plenty of cushion, which is appreciated since I am about 20 pounds above my peak racing weight (though working on getting that back down this summer!). One of the things I like best about the Freedom ISO is the fit. 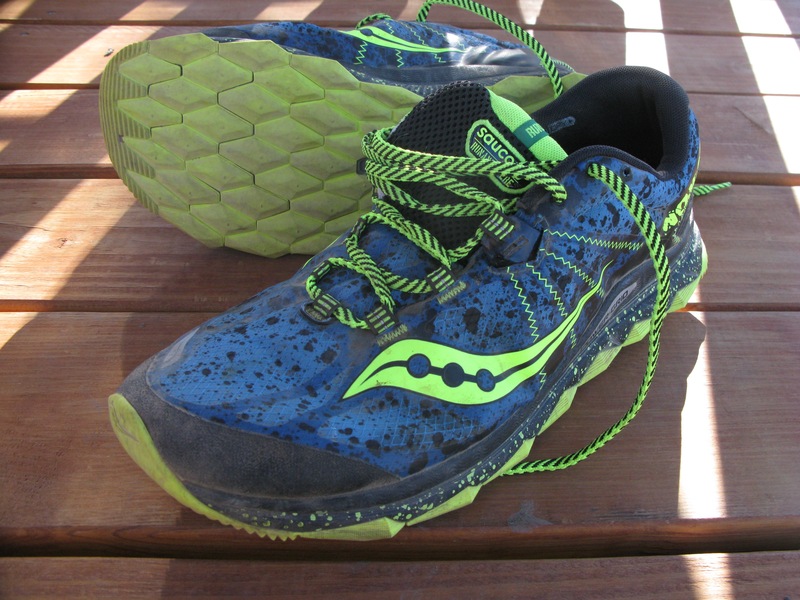 It has a very roomy forefoot, and the upper is fantastic. It’s among those shoes that disappears on my feet – never any abrasion, hot spots, etc. No discomfort of any kind. I like that the shoe lacks a true heel counter – the heel is supported only by a plastic band that wraps around the back, and the ISOFIT upper wraps the foot nicely. They’re so comfortable that I seriously considered buying a pair in black that I could wear to work, but the $160 price tag held me back. The ride provided by the Freedom ISO is one of comfort rather than speed. 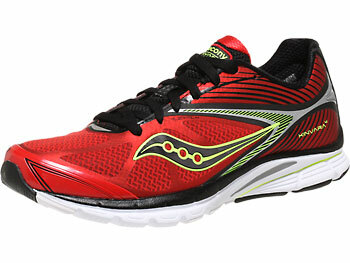 This is a shoe I’d use to eat up long runs at a slower pace, but not for fast-paced racing or speedwork. Although it specs out at 9.1 oz in men’s size 9, the weight seems disproportionately distributed in the sole, and this removes a sense of speed from the ride. My max distance run in the shoe was about 9 miles a few weeks ago, and they handled that well, but I would not choose the Freedom as a race shoe for most distances (maybe a marathon in my current condition, but if I was in better shape I’d prefer something a bit speedier). The question I struggle with for a shoe like the Freedom ISO is whether or not it is worth the $160 price tag. I still favor shoes at the lower end of the price spectrum (>$110 these days seems about right), but the Freedom does feel like a premium shoe with a very durable sole – it shows far less wear with more miles on it than other shoes I own. I’d be curious to hear experiences from others with regard to durability – is 500+ miles realistic on these? 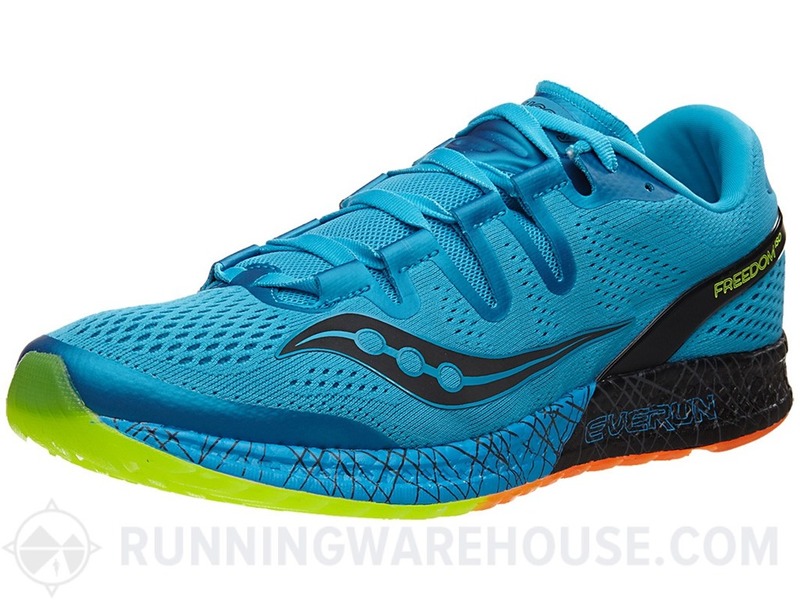 At the end of the day, I’d recommend the Saucony Freedom ISO to runners looking for a comfortable shoe with a spacious forefoot that can be used to eat up long, slow miles. For speed I would recommend looking elsewhere (perhaps the shoe I’m running in right now…review hopefully coming). I’ve put in about 400km plus in them and the crystal rubber looks as good as day 1 but mine developed a hole on the upper left in the forefoot near the big toe, which is a bummer really, but I’m putting that down to the fact that it was a sample pair from Saucony Malaysia. Based on what I’ve experienced so far with them, I’d say they might be capable of hitting that 500+ mile mark. Thanks for the info, that’s what I suspected. 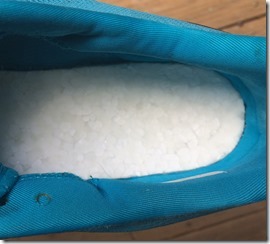 The crystal rubber seems extremely durable, but I do wonder if it contributes to the sense of added weight in the sole. The ISOFIT upper makes the shoe less breathable. 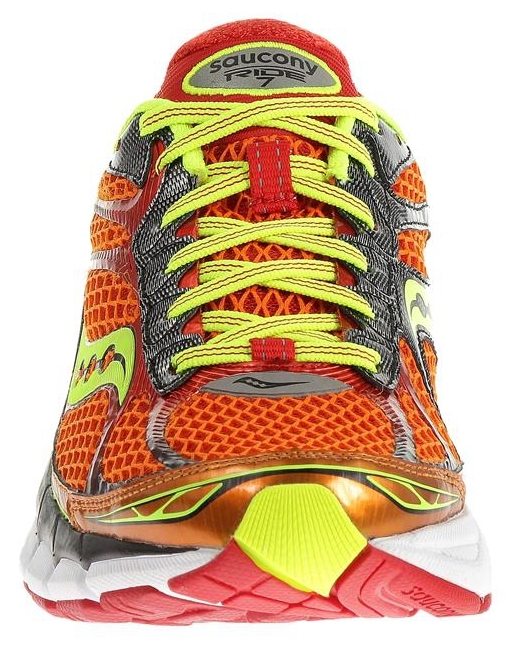 I wish Kinvara 8 had the same wide frorefoot. I just ordered a pair of heavily discounted Freedom’s. At the moment I am enjoying every km in my green Kinvara 7’s. I also have a pair of Boston 6 I still have to wear in (did also have a couple of Boston 5’s before). The Kinvara is much friendlier to my forefeet opposed to the Boston’s. And I really like the Boston’s, except that they are just not wide enough for me (I have pretty normal feet). So I am really looking forward to the Freedom ISO shoes.